Dr. Naresh K. Malhotra has served the Sheth Foundation since its inception in 1991. He is currently serving as the Vice President and Secretary. He is the Nanyang Professor, Nanyang Business School, Nanyang Technological University, Singapore and Regents’ Professor Emeritus, College of Management, Georgia Institute of Technology, USA. He is listed in Marquis Who’s Who in Americacontinuously since 51st Edition 1997, and in Who’s Who in the World since 2000. He received the prestigious Academy of Marketing Science CUTCO/Vector Distinguished Marketing Educator Award in 2005. In 2010, he was selected as a Marketing Legend based on his life-time contributions to the marketing discipline. 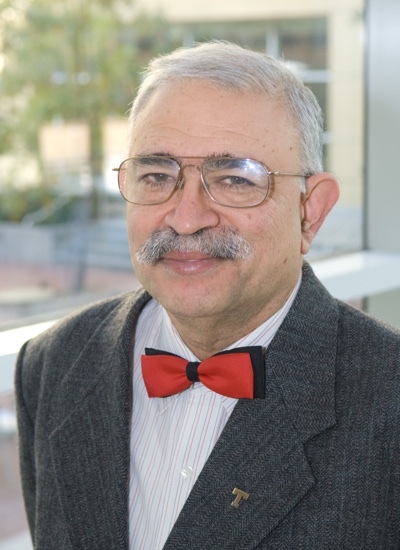 In an article by Wheatley and Wilson (1987 AMA Educators’ Proceedings), Professor Malhotra was ranked number one in the country based on articles published in the Journal of Marketing Researchduring 1980-1985. He also holds the all-time record for the maximum number of publications in the Journal of Health Care Marketing. He is ranked number one based on publications in the Journal of the Academy of Marketing Science (JAMS) since its inception through Volume 23, 1995. He is also number one based on publications in JAMS during the ten-year period 1986-1995 (See tables 6 and 7 of JAMS, Vol.24, No. 4, Fall 1996, page 297). In an Editorial by Schlegelmilch (JIM, 11(1), 2003), Malhotra was ranked number one based on publications in the International Marketing Review from 1992 to 2002. He is also ranked number one based on publications in the International Marketing Reviewsince its inception (1983) to 2003 (Table V, IMR, 22(4) (2005)). He is also ranked number one based on publications in the International Marketing Reviewfrom 1996 to 2006 based on a study by Xu et al. published in the Asia Pacific Journal of Management(2008) 25: 189-207. In a landmark study by West et al. (2008) examining publications in the top four marketing journals (JMR, JM, JAMS, and JCR) over a 25-year period from 1977 to 2002, Professor Malhotra has three top-three rankings: ranked number three based on publications in all the four journals combined, ranked number three based on publications in JMR, and ranked number one based on publications in JAMS. He has published an incredible ten papers in JMR. He has published more than 100 papers in major refereed journals, including the Journal of Marketing Research, Journal of Consumer Research, Marketing Science, Management Science, Journal of Marketing, Journal of Academy of Marketing Science, Journal of Retailing, Journal of Health Care Marketing, and leading journals in Statistics, Management Science, Information Systems, and Psychology. In addition, he has also published numerous refereed articles in the proceedings of major national and international conferences. Several articles have received best paper research awards. He was Chairman, Academy of Marketing Science Foundation, 1996-1998, and was President, Academy of Marketing Science, 1994-1996, and Chairman, Board of Governors, 1990-1992. He is a Distinguished Fellow of the Academy and Fellow, Decision Sciences Institute. He is the Founding Editor of Review of Marketing Research and served as an Associate Editor of Decision Sciences for 18 years and has served as Section Editor, Health Care Marketing Abstracts, Journal of Health Care Marketing. Also, he serves on the Editorial Board of eight (8) journals. His book entitled Marketing Research: An Applied Orientation, Sixth Edition, was published by Prentice-Hall, Inc in 2009. This book has been translated into Chinese, Spanish, Russian, Portuguese, Hungarian, French, Bahasa Indonesia, and Japanese. In addition to the eight translations, this book also has several English editions including North America, International, Europe, India, and Australia & New Zealand. The book has received widespread adoption at both the graduate and undergraduate levels with more than 144 schools using it in the USA. His book, Basic Marketing Research: A Decision-Making Approach, Third Edition, was published by Prentice Hall in 2008. Dr. Malhotra has consulted for business, non-profit and government organizations in the USA and abroad and has served as an expert witness in legal and regulatory proceedings. He has special expertise in data analysis and statistical methods. He is the winner of numerous awards and honors for research, teaching, and service to the profession, including the Academy of Marketing Science, Outstanding Marketing Teaching Excellence Award, 2003. A devout Christian, Dr. Malhotra is an ordained minister of the Gospel, a member and Deacon, First Baptist Church, Atlanta. He is married to Veena and they have two children, Ruth and Paul.